15ct antique ruby and diamond ring. Product code: 865 Categories: Sold Items, Sold Rings. This is a very beautiful antique ring that was made in 1907 in such a sweet design. 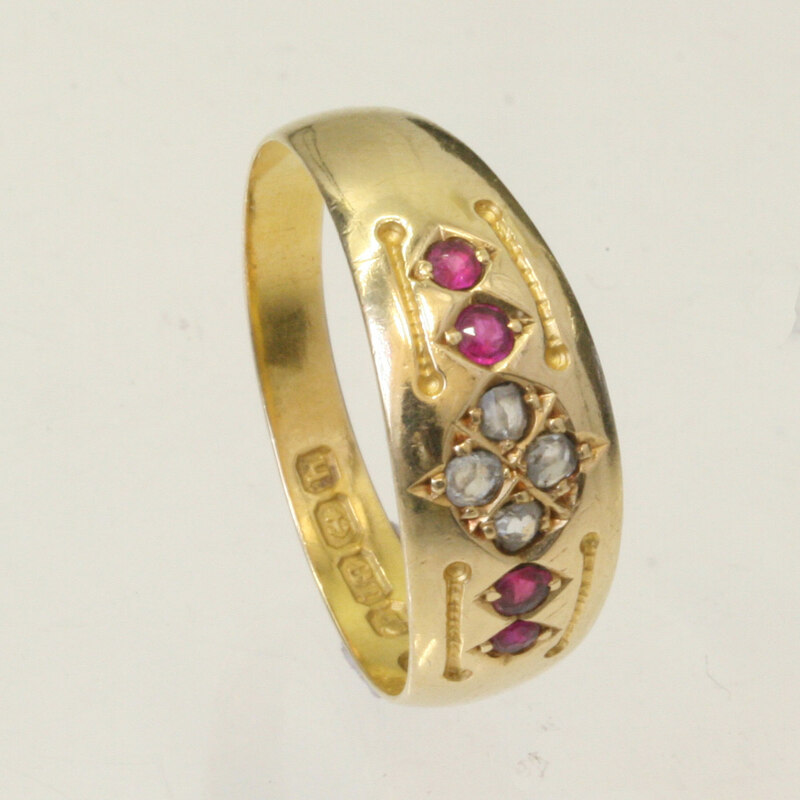 Set with 4 diamonds and 4 rubies, the ring is made in 15ct gold and was made in Birmingham in 1907. This design is so easy to wear every day, and the design itself is perfect enough to wear on its own. A fantastic example of an antique ruby and diamond ring that will be loved.